The Jurlique Skin Balancing Face Oil is a non-greasy, wonderfully light moisturising face oil that will soften, protect and nurture your skin. With beautiful chamomile, calendula, marshmallow and rose essences, your skin will thank you for the treat. Jurlique never fails to deliver with their vast range of biodynamic beauty products and this Skin Balancing Face Oil is no exception. This oil soothes and balances skin with the help of avocado, macadamia and rose hip which guards it against moisture loss, improve skin elasticity and leave it feeling smooth and supple. As a restorative moisturiser, it also makes an ideal after sun cream. Dispense 2-3 drops onto cotton pad and apply to cleansed damp skin. Gently massage onto face, neck and décolletage using fingertips until fully absorbed, day or night. Absolutely LOVE this stuff! my skin has changed. Soooo happy i bought it. Definately recommend it. it is perfect for a daily massage and help keeping the face balance ! I use this oil every evening after rinse and have done so for a year. My skin is soft and tender. My porres is not so rough as they used to. My skin has betone a new glow. I just love it! This face oil is not greasy at all and can be absorbed easily. I use it twice a day and it has definitely improved my dry patches problem (combination skin). Wish i have found it earlier! so nice as usual and fit for dry skin. Try out for a few days Jurlique Skin Balancing Face Oil, my skin has started to balance, very good! 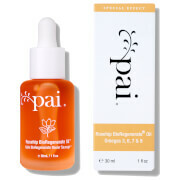 Love this face oil. Highly recommend. I just love this Jurlique Skin Balancing Face Oil (50ml). A must have. This oil is quite good. It makes my skin soft every time I use it. 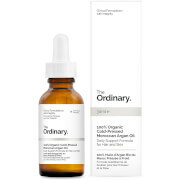 Fantastic oil for dry and delicate skin.